Skin health for your entire body. A body cream with hydroxy acids and essential plant oils to help smooth and condition skin. Contains no artificial fragrance or color. A rich, skin conditioning botanical cleanser for the entire body. Contains no artificial fragrance or color. A sea-salt body therapy for a remineralizing bath soak to help with all-over skin polishing. Contains no artificial fragrance or color. 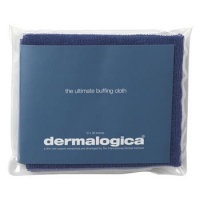 A quick-drying, hygienic exfoliating cloth to help buff and polish the body to silky perfection. Contains no artificial fragrance or color.